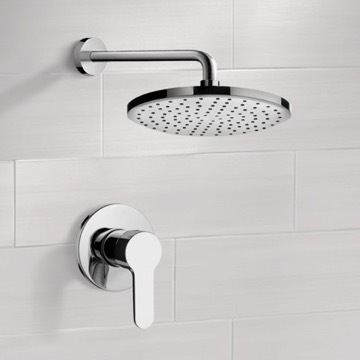 A contemporary style three-piece shower set selected by our team of bathroom specialists comes to you from Remer's line of premier shower fixtures. 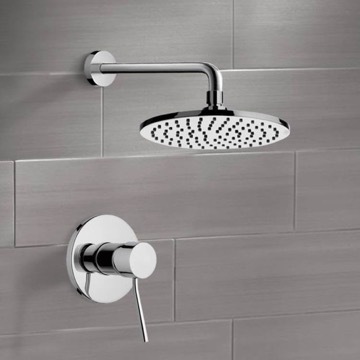 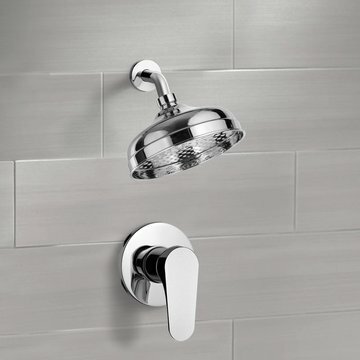 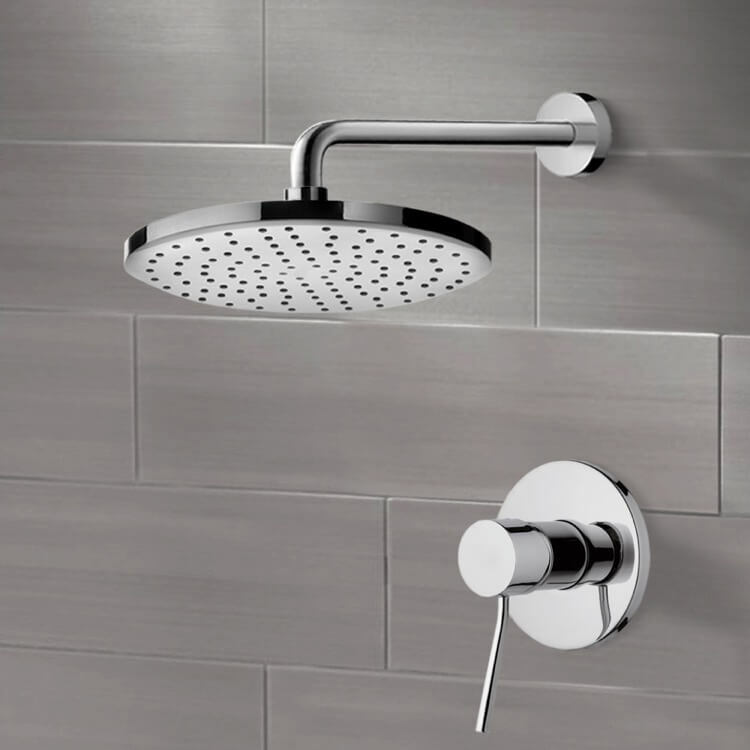 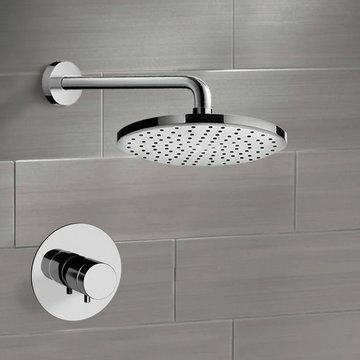 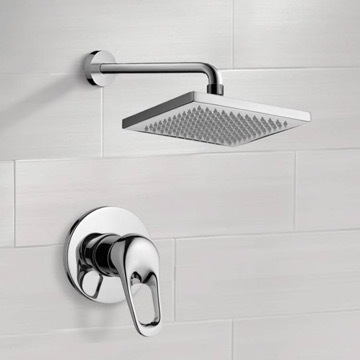 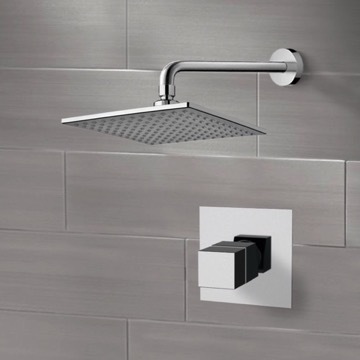 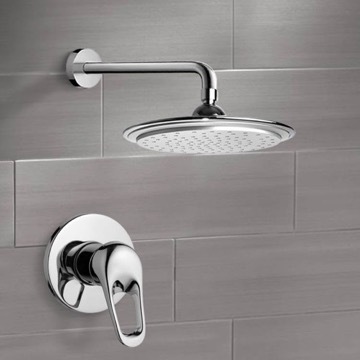 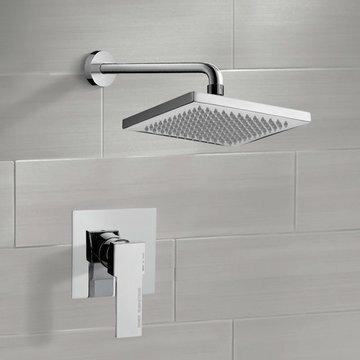 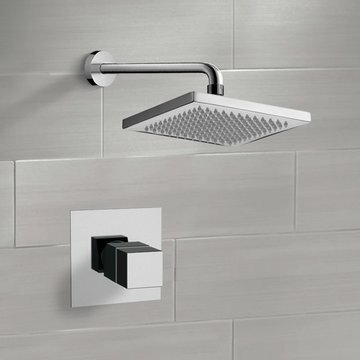 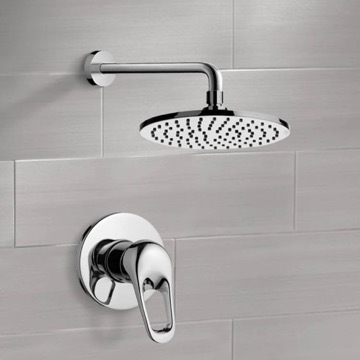 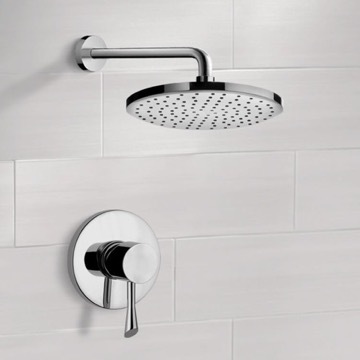 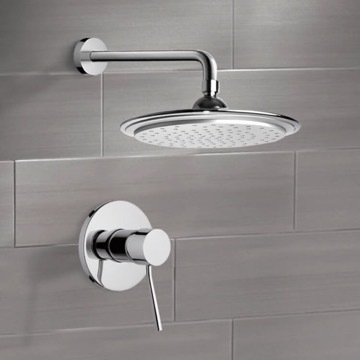 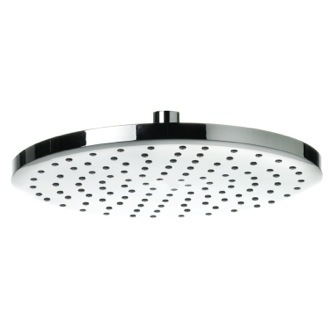 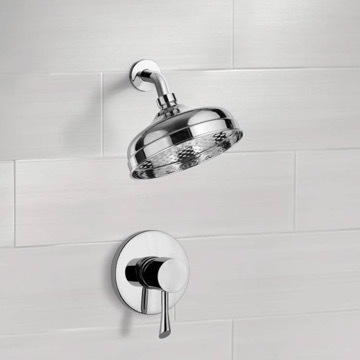 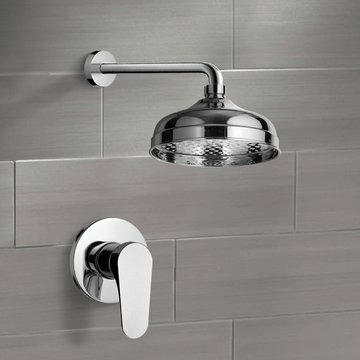 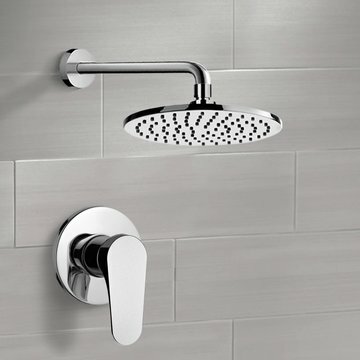 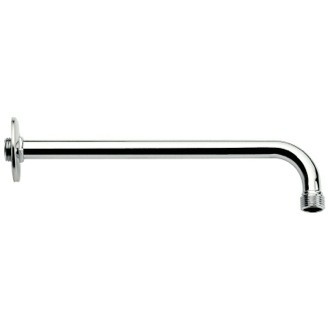 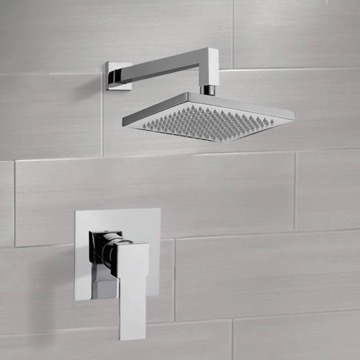 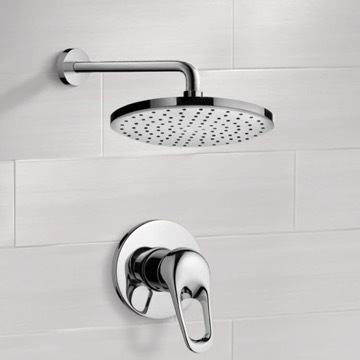 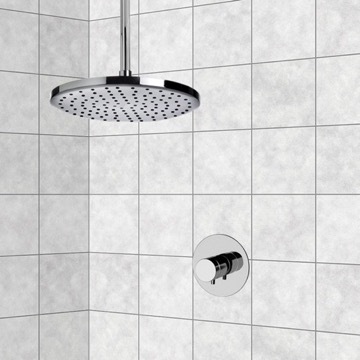 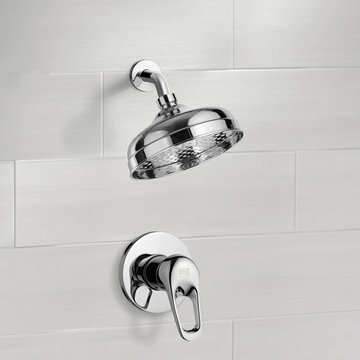 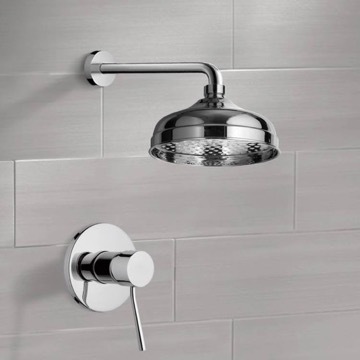 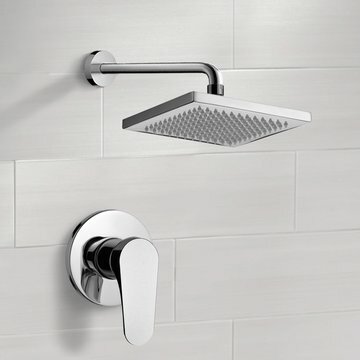 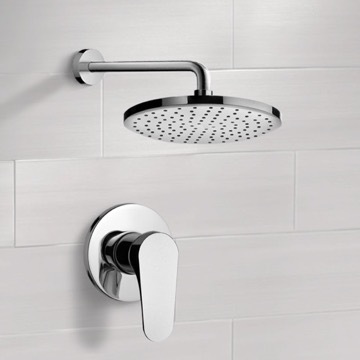 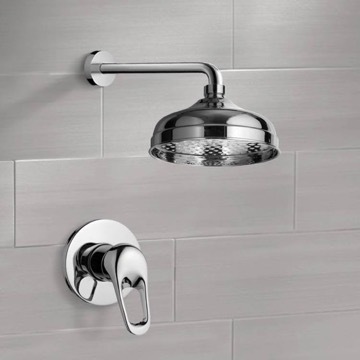 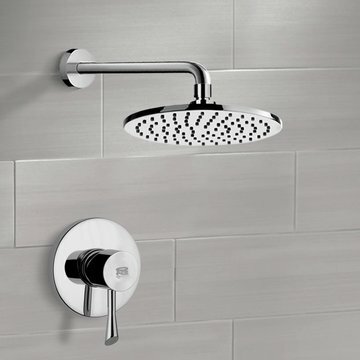 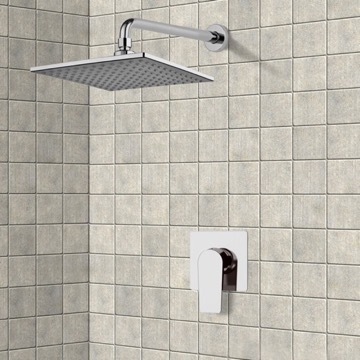 Featured is a rounded, rain style showerhead, curved shower arm and a single lever wall mount diverter that's operated with the installation of the included rough-in valve. 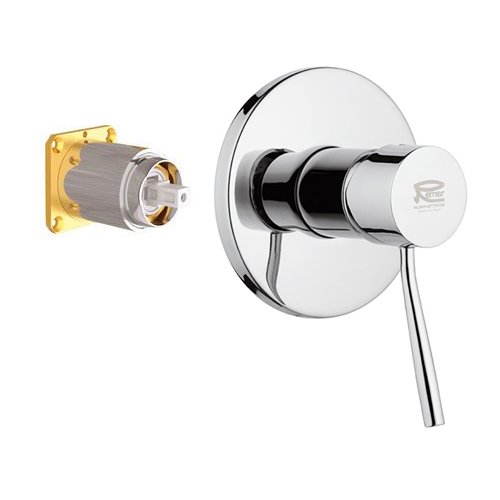 Each exposed fixture in this set is constructed from solid brass and finished with chrome.